Thursday, March 8, 2018 (PANCAP Coordinating Unit, CARICOM Secretariat): The Pan-Caribbean Partnership against HIV and AIDS (PANCAP), the mechanism that provides a structured and unified approach to the Caribbean’s response to the HIV epidemic, will host the Sixth Meeting of National AIDS Programme (NAP) Managers and Key Partners in the Republic of Trinidad and Tobago from 12 – 14 March 2018. Participants will include over 70 of National AIDS Programme Managers, Chief Medical Officers, Permanent Secretaries, Development and Regional Partners, Implementing Partners such as Civil Society Organizations that work with people living with HIV and Key Population groups (including youth). 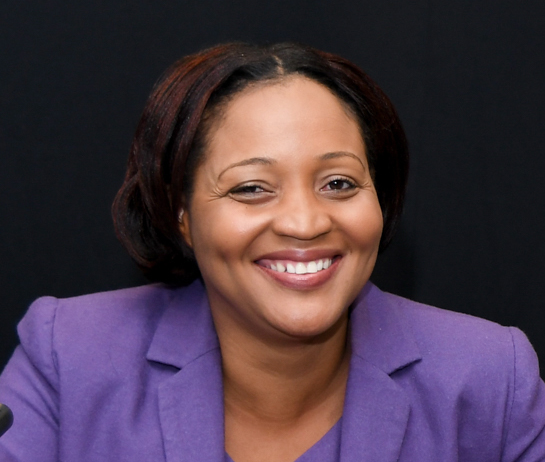 According to Ms Gardenia Destang-Richardson, National AIDS Programme Manager, Ministry of Health Saint Kitts and Nevis and the National AIDS Programme Managers Representative on the PANCAP Governance Bodies, “the meeting will provide a forum for assessing where we are in fast tracking the regional HIV response. Participants will discuss innovative approaches for increasing testing, including country efforts to pilot self-testing and country experiences implementing Pre Exposure Prophylaxis (PrEP) as part of combination prevention, as well as retaining people living with HIV in treatment and care”. She further explained that there would be opportunities to examine integration as a key regional strategy for ending AIDS and dialogue on the need for accurate, up to date and credible data on the HIV epidemic to guide the response in the region. In recognition of the crucial need for countries to prepare for transition and sustainability, Ms Destang-Richardson highlighted that the meeting will seek to strengthen participants’ knowledge and skills on private sector resource mobilization strategies. Participants will also be updated on the support being provided by development and regional partners to assist countries to operationalize their programmes for fast-tracking their response. Additionally, NAP Managers and Key Partners will be updated on the synergies among the three regional Global Fund projects in creating an enabling environment for increasing access to sexual and reproductive health and HIV services for people living with HIV and key populations. The expected outcomes of the meeting include an agreement on approaches for integration as a key strategy for sustainability; strategies for sustaining HIV prevention, treatment and care services; summary of the gaps in the regional response and remaining challenges to achieving the 90-90-90 targets and support needed to address each of the three targets; achievements of the regional Global Fund grants to date; increased awareness of partners contributions to the targets of the Caribbean Regional Strategic Framework on HIV and AIDS (CRSF); Lessons learned from transition and sustainability exercise and Key policy issues for presentation to the Council for Human and Social Development (COHSOD) – Ministers of Health in September 2018. Ms Destang-Richardson concluded by underscoring the importance of the meeting’s outcomes to the HIV response, “As donor funding declines, countries need to plan for how they will transition away from external funding to increased domestic funding of their HIV response. I hope that we can effectively utilize this forum to create a roadmap for the next stage of the region’s response to HIV”. The Caribbean Regional Strategic Framework (CRSF) 2014-2018 articulates the vision and collective priorities of Caribbean states through their membership in the Pan Caribbean Partnership against HIV and AIDS (PANCAP). The core premise is that stemming the HIV epidemic in the Caribbean rests on the commitment, capacity and leadership of national authorities and effective response. The primary goal of regional collaborative efforts is to support country responses by addressing common challenges in the areas of evidence-based policy formulation, and innovative responses to addressing legislative gaps, resource mobilisation, coordination and technical assistance., An effective regional response, guided by the CRSF 2014-2018, therefore requires that the links and interfaces between country programmes and regional support programmes be defined and agreed to by country partners. This is critical for strengthening country ownership of the PANCAP response and a shared responsibility to strategically align efforts to end HIV as a public health problem in the Caribbean. .